Big Wall Street brokerage house JP Morgan is throwing some sunlight on the opening weekend of sales for the new Apple iPhone 7 and Apple iPhone 7 Plus. While many analysts characterized iPhone 7 sales from Friday's launch date through Sunday as being positive, JP Morgan said Monday morning that placing such a label on the weekend's sales activity would be "premature." JP Morgan pointed out that typically at this stage of a new iPhone release, Apple does have shortages of certain models. This happens due to lower initial builds of several configurations. Eventually, the shortages disappear as supply catches up to demand. The comments are attributed to the firm's Apple analyst Rod Hall. 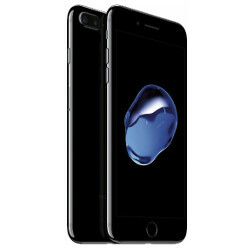 This year, there was strong demand for the Apple iPhone 7 Plus and the Apple iPhone 7 in the new Jet Black finish. Perhaps the model most in demand is the 256GB iPhone 7 Plus in Jet Black. In a note to clients that was released today, Hall said that thanks to free iPhone 7 promotions that were more aggressive than expected, sales of the new iPhone models at Verizon and AT&T topped last year's numbers, but not by a much larger amount than anticipated by JP Morgan. Yes. Probably the number is high only in the US because of the exchange offer. That is the only reason Apple does well in the US or anywhere. When you don't have to "critically think" about your purchase because its "free", then the iPhone starts looking like a great device. Anyone know the figures for the market of iOS vs Android in the USA? (I think Worldwide Android is like 79% and IOS is roughly 18%?). Wouldn't be surprising at all. This one is gonna hurt Samsung for a while, like lingering radiation years after the nuclear detonation. Not really, they're probably going to break their own records with the S8 at this rate. Even Note 7 owners didn't stopped buying the phone until it was recalled and people still just want their Note 7 back. They might even steal sales from the iPhone due to it being such a major disappointment. Apple not wanting to release first weekend sale numbers, when they normally can't wait to do so is odd. The phones will be a success, and some of that success can be attributed to Samsung. My company used to handle the distribution of Apple in Rialto, CA. We lost the account to a different 3PL when the IPhone 6 was launched. A few managers stayed with the new company and I just spoke to one of them this weekend. He said that all this BS of shortage on the 7 plus is a great big lie. Normally we do run out of stock on the first weekend but the warehouse still has inventory and that's why you should see some people start receiving their iPhone 7 plus soon and not having to wait the 3-4 weeks period. Wowwww! I was wondering if it was a ploy to spark interest. Big business at work. I will say this they did order more from the manufacturers this year than last, but still, he says the inventory they have is a lot and it seems to be working for Apple this little game their playing. The company handles the E-Commerce (ship to consumer) part as well and he says they are working 16 hours days this week to complete shipping of all these orders that are coming thru. We would never work that much after the first weekend. Apple knows how to drive sales. What's bad, is that people camped out, and were sent away empty handed. What's 3PL, if I may ask? Samsungs Note launch hasnt disrupted iPhone sales in the past. If anything, Apple disrupts the Note launch, which is why they rushed it this year, which is why you have fingers and glass flying left and right with the Note 7. Are you still getting the Coral Blue N7 bro or black? I`mma get black as soon as its available here. Too early to declate victory. They should wait after the return period to tally the numbers since many are returning the iPhone 7 since it's a downgrade from iPhone 6S. Of course it's a great launch in the USA. When there are mobile exchange offer, there is absolutely no reason to refuse the exchange. Outside of the USA, I'm not so sure this launch is a success when you have to spend around 1k $/€ for a smartphone. Not even mentioning the lack of our dear 3.5mm jack port.